It looks like reigning Super Bowl MVP Nick Foles will get just one more crack at that starting thing when his Philadelphia Eagles take on the Tampa Bay Buccaneers Sunday. According to ESPN’s Adam Schefter, injured Eagles starting quarterback Carson Wentz is on track to play next week against the Indianapolis Colts. This comes following a report earlier on Sunday noting that Wentz could be cleared for contact next week. 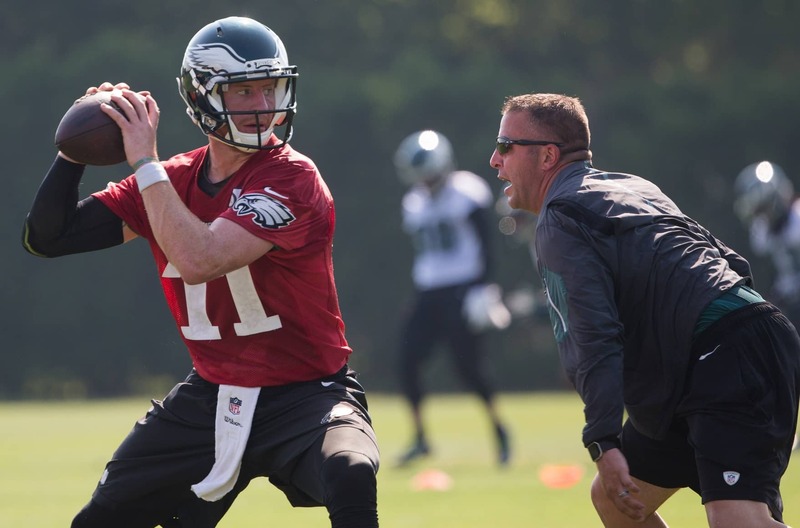 Given that Wentz can’t return to in-game action until he’s cleared in that manner, this would be a first step back for the young signal caller. While Foles did lead Philly to its first ever Lombardi with Wentz sidelined to a torn ACL late last season, the veteran struggled throughout the preseason and in the team’s Week 1 win over Atlanta. Getting Wentz back will help a suddenly struggling offense overcome these early-season struggles.